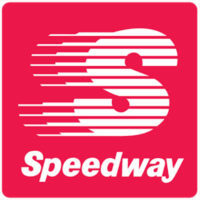 Speedway is a chain of gas station convenience stores in the United States. The business locations feature self-service gasoline pumps outside stores that sell magazines, snacks, beverages, and deli foods. It is one of the largest convenience store chains in the country. You can find a Speedway application at their website. Speedway LLC was purchased in 1959 by the Ohio Oil Company, which later became Marathon Petroleum Corporation. The subsidiary owns and operates more than 2760 stores in 22 states. Much of the company’s growth has occurred through the acquisitions of smaller chains. The public company now employs over 10,000 people. The business, which is headquartered in Enon, Ohio, is prevalent in several Midwest states. Approximately 1200 Hess Express and WilcoHess stores across the Eastern states are being converted to the Speedway brand, expected to be completed by 2017. You can fill out a printable application form at the company’s website at the bottom. The company contributes greatly to charitable organizations in its communities. It has donated more than 68 million dollars to Children’s Miracle Network Hospitals since 1991, collecting money in donation jars at the stores. Corporate employees participate in United Way fundraisers, and have raised just under three million dollars since 1999. The business has many corporate-level positions available in multiple states. It posts openings online in the areas of Accounting and Finance, Information Technology, Marketing, Supply Chain Management, Human Resources, Benefits and Payroll Administration, and many more. Some positions offered include HVAC Maintenance Technician, Accounting Analyst, Administrative Assistant, and Benefits Processor. In-store and hourly employment is available in the positions of Customer Service Representative, Food Service Specialist, Shift Leader Trainee, Co-Manager Trainee, District Manager Trainee, Hess Management in Training, Hess Retail Development Program, and Hess Non-Store Professional. If you wish to browse these jobs on their website, you will be instructed to choose your region to proceed. You must be 18 to work at Speedway. Education and experience requirements vary widely for the positions offered. Be sure to read the job description carefully before applying for Speedway jobs online. The company is hiring for different types of careers on its website. The company offers a competitive benefits package to its employees at all levels, including tuition reimbursement and dental plans. Most of the gas station convenience stores are open 24 hours, so in-store employees might be expected to work any shift, although most positions will be offered as all night shifts or all day shifts. If you are interested in applying for Speedway jobs, see the website below. Customer Service Representative – The Customer Service Representative runs the cash register, makes cash drops into the safe, stocks the store, refills window washer fluid and paper towels outside at the pumps area, and cleans the retail area and the bathrooms. Pay starts at minimum wage, but employees will be offered benefits and opportunities for advancement. Food Service Specialist – The Food Service Specialist makes sandwiches, biscuits, and other food items, and cleans ovens and dishes. Other responsibilities include ordering food supplies and checking food for freshness. This is an entry-level position, but a high school diploma is a requirement for this job. Salary for this position is around $20,000 per year. Store Manager –The Store Manager’s duties include making bank deposits, tracking the cash flow in the store, ordering supplies, making schedules, and hiring and firing employees. Store Managers can expect to start out making approximately $22,000 per year. You can apply for jobs at Speedway by going to their web link below and filling out a direct application. District manager – As a District Manager, you most likely would have been promoted from a lower position. You would travel to a number of stores assigned to you and oversee their affairs. You would act as a liaison between the stores and the corporate office. Expect an initial salary of $27,000, which could see a huge increase over time. Are you available to work the hours and times that I want to give you? Most of the gas station convenience stores operated by this company are open 24 hours. Many employees will be asked to work nights, holidays, and week-ends. You’ll want to let your interviewer know that you understand this, and you’re willing to work when they need you if your preferred schedule isn’t available. How well do you think you’ll be able to get along with your co-workers? It gets very busy in these stores. It is important that the staff can cooperate, trust each other, and work as a team. Remember to maintain a professional attitude and show your interviewer your best behavior. Is there anything that could prevent you from performing your job duties? This work can get very physical. It requires long periods of standing. Stocking and cleaning requires lifting and bending while moving quickly. Some physical conditions can be accommodated. Your interview is the time to bring up anything that might make the job difficult for you. Have you ever been fired from a job? This is an uncomfortable question, but they might ask you this. If you have not, this is a good time to bring up any references you have who are willing to vouch for your character. If you have been fired, word your answer carefully. Don’t lie. The company wants to employ honest people. How do you feel about advancing to the corporate level? One of the best things about working for this company is the chance to advance to a better career in the industry. If you are interested in short term employment, the business will still have a place for you. If advanced job opportunities appeals to you, go to their website to fill out applications. If you are applying for an entry-level position with this company, dress up and make yourself neat, but you won’t need to wear a suit. Get a printable application for Speedway by going to their website, viewing job postings you like, and clicking to get an application form. There is no charge for the online application. Once the company has selected your Speedway application and called you, you will need to be on time for your interview. Try to be friendly and cheerful to your interviewer the way you would to your future customers. You should find that it was worth your time to fill out the free application at the company’s website. If you would like to know how to apply for Speedway online, start by going to the website through the application links below. If you select the corporate link on the careers page, you will be taken to a page that will allow you to browse all available positions, regardless of level. Just click the link that says All Jobs at the top of the Career Opportunities page. Those who wish to apply for corporate level Speedway jobs that aren’t currently posted will be shown a mailing address to send a resume. You can browse local jobs, download application form, and apply online by visiting the website at the bottom.